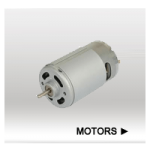 This 12v automatic fish feeder motor is designed for the Aquapro ADF-75 and ADF-200 model auto fish feeders. 12 Volt PM DC 1/4in. x 1-3/4in. Shaft with Cotter Pin Hole 1/35 Horsepower RPM 2942 @ 2 amps Draws 4½ amps at startup, 3 when running Mounting studs are 10/32in X 5/8in. long and are 2.36in. apart Dimensions approximately: 3in. Wide x 3in. Tall 2 3/8in. 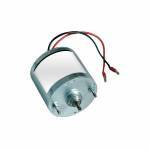 between two bolts on top of motor ..
Universal 6V Replacement automatic Deer Feeder or automatic fish feeder Motor - 1/8" Shaft 6 volt RPM 3,100 1.46" diameter x 2.54" long 1/8" diameter x 0.35" long shaft Solder or 0.187"qc terminals Operating range - 9.6-30.0 1" between two bolt holes on top of motor Note: Will Not work as a replacement for the Moultrie 6v Motors. ..
Has the water risen too fast at your pond? Your feeder hasn't been used in years? This rebuild kit will help get your AquaPro ADF-75 back in top shape. 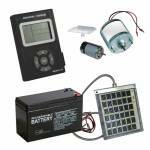 Includes: 12v Battery 12v Solar Panel Both Upper and Lower Motors Upper Motor Spin Plate F2 Digital Replacement Timer (replaces LPAD timers) ..